Surfers at Sydney’s Bondi Beach aren’t the only Australians catching waves. 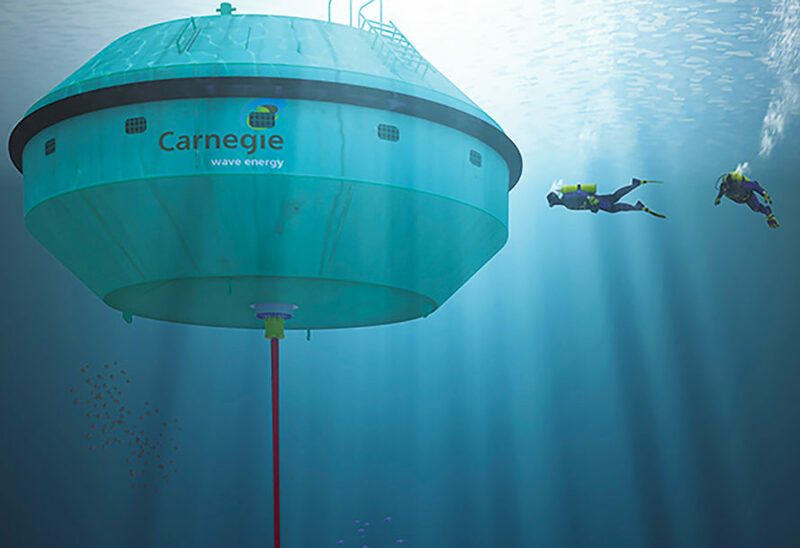 The Perth-based Carnegie Wave Energy Project just set a world record by completing 14,000 cumulative operating hours. Located off Garden Island, Western Australia, the CETO 5 marine energy system has for the past year been generating clean, renewable electricity and potable desalinated water for Australia’s largest naval base, HMAS Stirling, on Garden Island. The Australian Renewable Energy Agency (ARENA) provided $13.1 million in funding for the $40 million project — the first array of wave power generators to be connected to an electricity grid. The CETO 6 is the next generation of wave energy technology. Each unit has a targeted one megawatt capacity, which is four times the output of the CETO 5 unit. The power is transmitted onshore via subsea cable. The CETO 6 design is the product platform that will be used in commercial CETO projects. Wave energy technology has enormous potential to provide zero emissions electricity to Australians because more than 80 percent of the population of 24 million people reside along the coast. The Perth-based Carnegie Wave Energy Project just set a world record by completing 14,000 cumulative operating hours. The Australian Renewable Energy Agency (ARENA) provided $13.1 million in funding for the $40 million project -- the first array of wave power generators to be connected to an electricity grid. Surfers at Sydney's Bondi Beach aren't the only Australians catching waves. 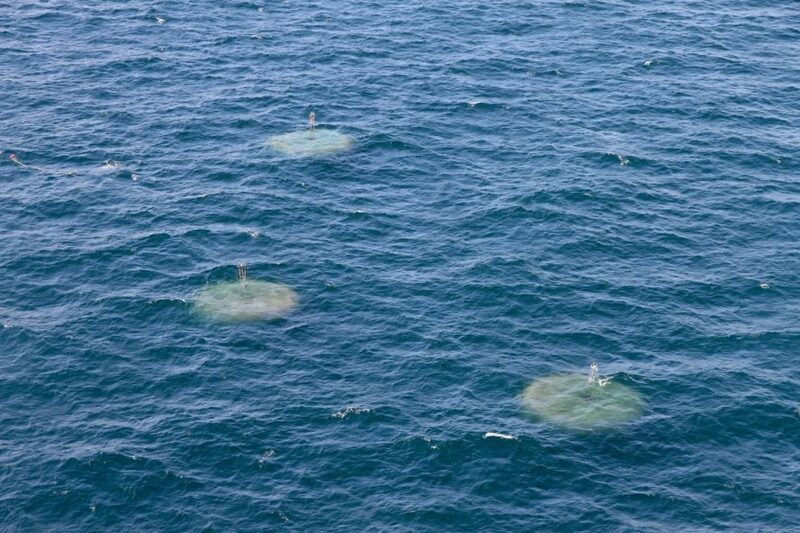 The Perth-based Carnegie Wave Energy Project just set a world record by completing 14,000 cumulative operating hours. Located off Garden Island, Western Australia, the CETO 5 marine energy system has for the past year been generating clean, renewable electricity and potable desalinated water for Australia's largest naval base, HMAS Stirling, on Garden Island. The Australian Renewable Energy Agency (ARENA) provided $13.1 million in funding for the $40 million project -- the first array of wave power generators to be connected to an electricity grid.